Patrick specializes in electrical/software technologies where he counsels clients, ranging from start-up companies to Fortune 500 companies, with regard to identifying and then executing intellectual property strategies throughout all phases of technical development to efficiently position the technology as a valuable asset to the client. 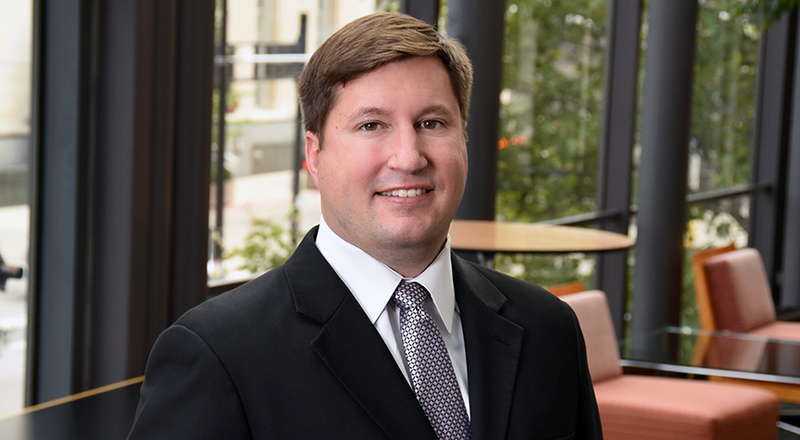 Specifically, Patrick has extensive experience in preparing and prosecuting patent applications and in assisting in patent infringement litigation matters, as well as performing infringement, invalidity, patentability and landscape analysis with regard to freedom-to-operate for key technologies of clients covering various electrical/software technologies. Patrick’s practice involves a variety of electrical/software based fields, including, but not limited to, memory interoperability, NFC circuit design, integrated circuit packaging and security, solar technology, and semiconductor substrate processing. He has technical experience in telecommunications, most specifically in network design, digital and packet switch technology, optical carrier systems and high-speed data transfer technology. He also has considerable technical experience with infrared imaging systems designed for military applications. Prior to joining Taft, Patrick was an associate with Sterne Kessler Goldstein & Fox, an intellectual property law firm located in Washington D.C., as well as Wood Herron & Evans, an intellectual property law firm located in Cincinnati. He also worked as a telecommunications network engineer for a large national local exchange carrier, where his work focused on the design of central office switching networks and optical transmission networks for the local exchange carrier. Additionally, he worked as a systems engineer for a large defense contractor, where he focused on the system design and testing of infrared imaging systems, which included rapid engineering prototyping of new infrared system designs and the seamless transition of engineering prototyping to manufacturing. Patrick received his B.S. in electrical engineering from the University of Dayton, where he was selected as a member of Eta Kappa Nu (HKN), the electrical and computer engineering honors society. He earned his J.D. from the University of Dayton School of Law, where he was part of the Program of Law and Technology.